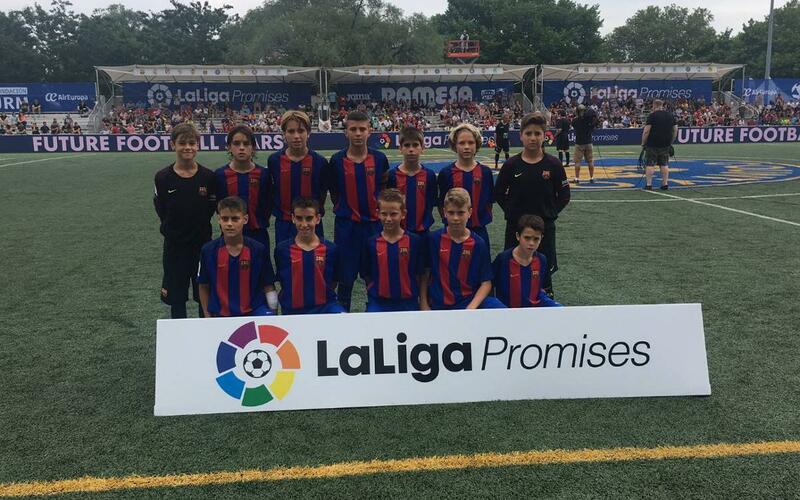 FC Barcelona's U12s started the third International LaLiga Promises tournament in New York in the best possible way, defeating New York City by 1-0, thanks to a goal from Pau Ortega. The youngster scored via a direct free-kick which caight the keeper off guard, which eventually decided the game in Barça's favour. Matches in the group stages are 24 minutes long, with two halves of 12 minutes. In Group C's other game, Benfica beat Villarreal 1-0. Barça then defeated Villarreal in their second game by the same scoreline, which seals the team's passage to the quarter-finals.